As part of our 50th Anniversary Celebration we are extremely excited to raffle off 2 tickets to see Hamilton on Broadway in NYC and a one night stay at the Marriott Marquis. We are selling only 200 tickets for $25 each. This is an amazing opportunity and valued at around $1000. 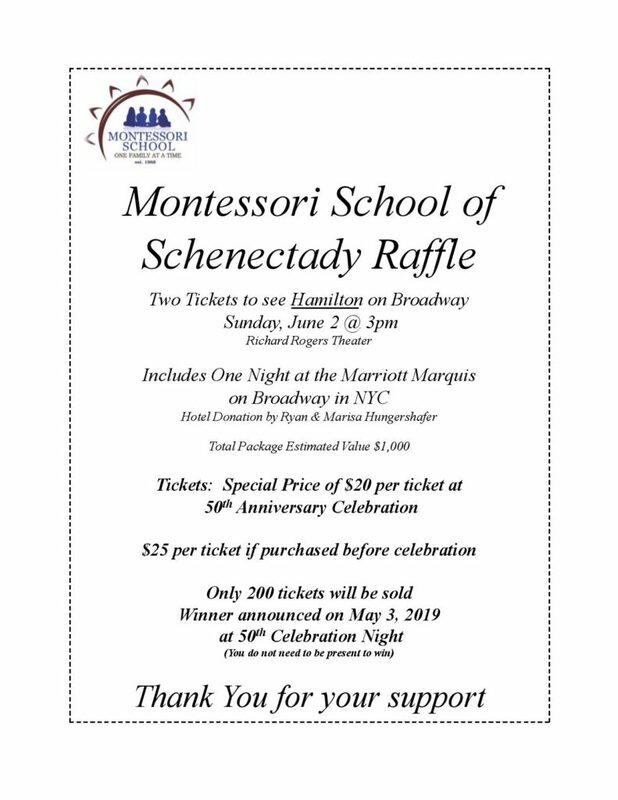 If you are interested in purchasing raffle tickets, please email events@onefamilymontessori.com for more information. Drawing to be held on Friday, May 3 at our 50th Anniversary Celebration. This entry was posted in Events by Andrea Girard. Bookmark the permalink.